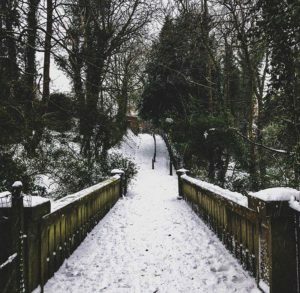 It was Friday afternoon and I had been stuck inside all day – stranded in Cardiff – as the storm nicknamed ‘The Beast from the East’ clashed with Storm Emma causing a red weather warning to be thrown across the South West. It looked very snowy from inside. 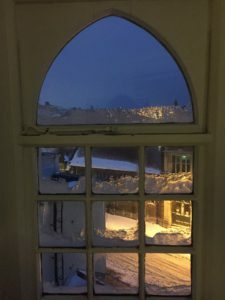 The winds were howling past and from my window, I could see the flurries of ice crystals build up in heaps that reached the top of the library steps and caused banks over two-foot-deep on each side of the road. When I went to look in my fridge, I realised that we had no food in the house – well nothing that I wanted. So, I decided to head to my local supermarket, usually only a two-minute walk away. Before I even left for the shops, I had to get changed to go out in the sub-zero temperatures. Newly dressed in thermals, jumpers, my thickest coat, socks and wellies, I was ready to venture outside. Yet, when I got outside, I realised I wasn’t ready at all. Walking through the snow was like running through sand and every step took all my energy. The winds had picked up and the now frozen snow was whipping around me, stinging my bare face. Within seconds, all the heat had escaped from my layers and my fingers and toes started to go numb. I eventually reached the shops. The ten minutes exposed to the elements felt like an hour, but at least I could now get my shopping. Yet, when I got inside, the scene resembled something out of an apocalyptic movie. The automatic doors had been propped open by the mounds of snow that had blown and settled in the shop. The once clean floor was now muddied with wet puddles. All the baskets were gone. The shelves were empty. I felt panic rise in my stomach. “What am I going to eat?” I thought. First, I went down the fresh food aisle – all the fruit and vegetables were gone. Next, I looked for milk and bread with no luck. All the tins were gone and all ready meals vanished. The snow looked very beautiful but caused lots of chaos. The only aisle left was the seasonal aisle. There, pushed to the back of the shelf, I spotted some Easter eggs. I quickly picked them up and bundled them in my arms, only to remember that I had given up sweets for Lent. I got in the long queue and purchased them anyway – just in case. Stood in that long queue, I had that ‘aha’ moment. I, like everyone else in the queue, had never really experienced not having access to food. In reality, I had lots of food at home I could have made do with – rice, some frozen peas, eggs – enough to make a balanced and fulfilling meal. For communities across the world, a wild weather front like the one the UK just experienced could cause the crops to fail and for a farming family to lose all of their produce. This would mean no food for the whole year – not a few days. 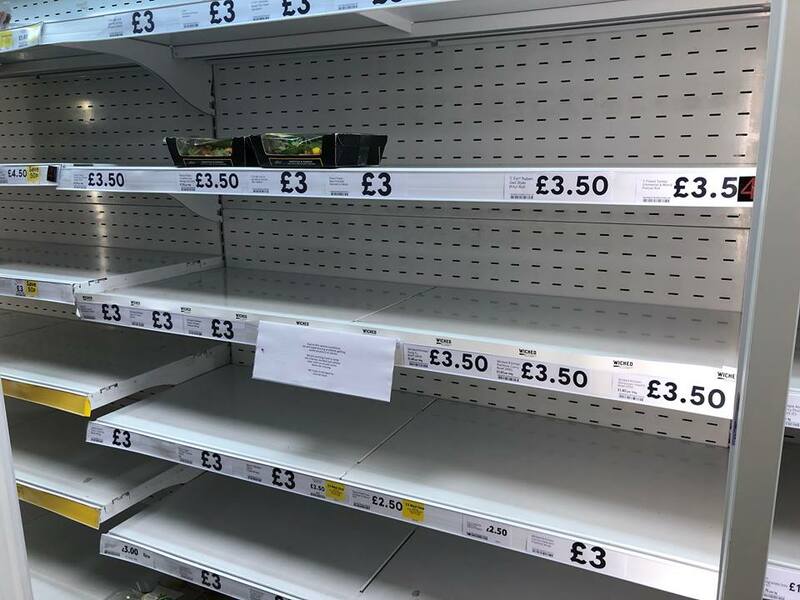 So, next Family Fast Day, I am going to remember that one moment of panic, that question, “what am I going to eat?” And celebrate CAFOD’s work across the world that ensures families don’t experience that ‘empty stores’ moment.